Buy 7 Day Probiotic Here! We believe that 7 Day Probiotic is the Best Tasting Probiotics Formula on the Market! Our Probiotics is a powder formula which gives you the choice to take 7 Day Probiotic however you like and allows them to be quickly absorbed by your body. We believe we have the Optimum Probiotic Product here and Always offer a Money Back Guarantee! Order 7 Day Probiotic today and put these good bacteria to work! Here you Get a 28 day Lemon-Lime & also you get a 28 day Supply of Berry as well! 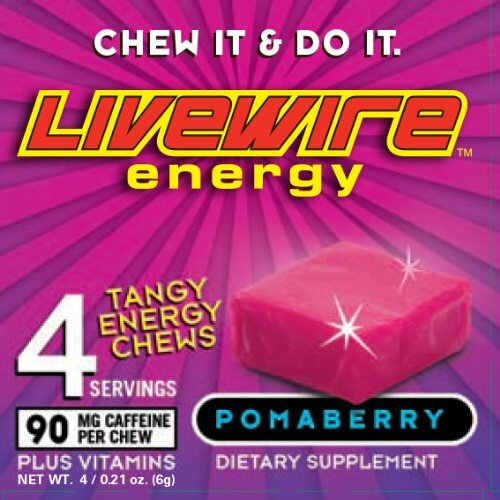 With pomegranate being all the rage and the sweet taste of blueberries, LiveWire has developed our special Pomaberry fruit flavor. It’s the perfect blend of pomegranate and blueberry that provide a tangy fruit flavored alternative to our original Citrus Mango chew. You like Cinnamon You will LOVE Our Cinnamon Fire Livewire. Red Hot with Flavor and Quite the treat With Quite the KICK! The original and still the king, Citrus Mango mixes the sweet flavor of Mangos with the tart taste of citrus fruits. 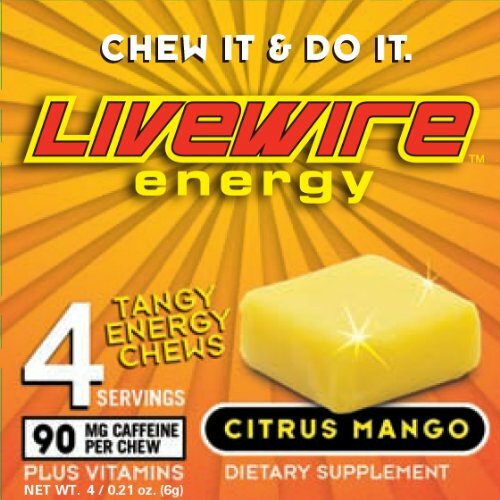 Throw in a hint of pineapple, and it’s no wonder Citrus Mango is one of the most popular LiveWire Energy flavors. One of our most popular flavors… Kick it up a notch with Mint Chocolate. For those looking for a breath of fresh air and a little extra flavor, this is the chew for you. A cool sensation with each bite leaves your mouth refreshed and your body invigorated. 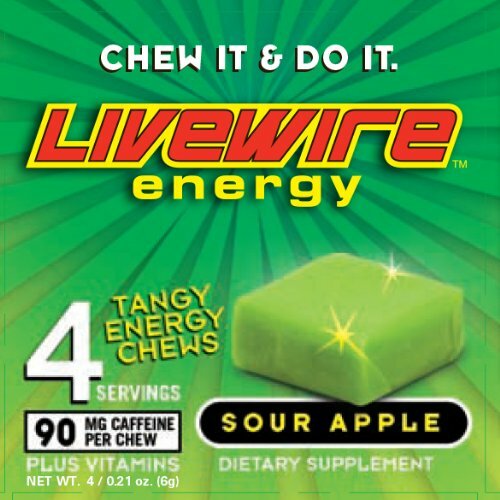 Experience an intense cool Icy Mint Flavor explosion as you grab one of these Livewire Energy Chews and enjoy your favorite activities. Leaves Your Mouth Cool & Refreshed as you are loving life and living it to the fullest. If you Like Sour Apple Candy, you will love this one. Tastes even better than it sounds. Great flavor Great taste with long lasting energy that you are going to love. 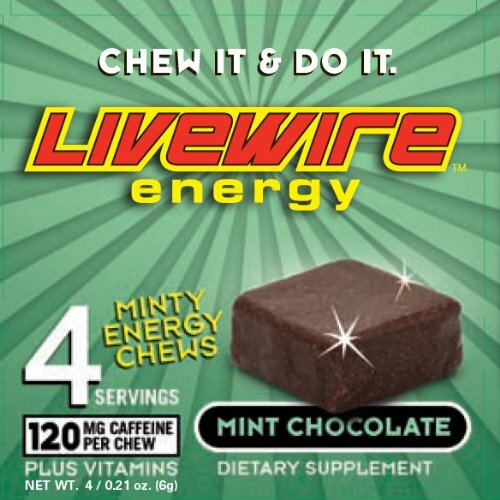 The New Chocolate Livewire Energy Chews are here and boy are the delicious!! This is the 4 pack to try it and see if you like. Great taste with great energy..If you are a chocolate lover you are going to love these.